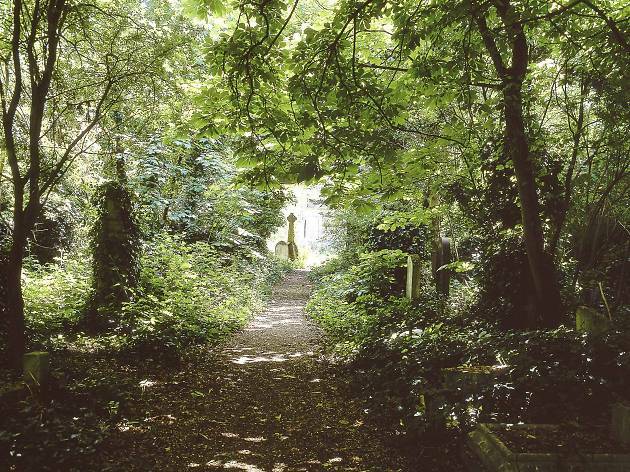 Apart from having what’s probably the second longest street name in London, the best thing about Stoke Newington Church Street is its lack of tube and rail stations. That has helped it dodge the breakneck development seen down in Dalston, Shoreditch and elsewhere in the Hackney borough. Yes, it’s hip – but in the sense of people opening up decent local shops, bars and restaurants, cycling everywhere and keeping one eye fixed firmly on sustainability. That doesn’t just mean locally baked bread: there’s a cautiousness about the place, as if everyone is nervously awaiting the announcement of a fifty-storey glass box called Stoke Newington One or Delta Point N16. You get the impression that if anything too wanky opened up, the locals would be out on the street, pitchforks in hand. There’s a reason that people (actual people, not estate agents) call this place a ‘village’. That dialled-down, community-minded cool is nowhere more snugly embedded than in Church Street. There’s a handful of unpretentious yet sophisticated watering holes and cafés, a melting pot of non-chainy global cuisines, and the kind of parade your nan would love: baker, butcher, bookshop, pub. With glass balconies encroaching from all sides, Church Street may end up as the last bastion of independent Hackney. Get down there before the developers do. Alaska maki or incredible fried aubergine from Fuji, a cosy little Japanese place that’s surprisingly affordable. Tandoori duck and chicken dhansak at Karnaphuli, where the chefs have been banging out classic northern Indian dishes since the ’80s. If you’re more into southern Indian grub, go for a dosa at Rasa. This place has got meat-free Keralan cooking down to a fine art without upping the prices. Rasa Travancore across the road is its non-veggie Syrian-influenced sister. Pizza done right, courtesy of L’Antica Pizzeria da Michele. The 147-year-old Neapolitan restaurant has just opened its second branch, and it’s right here in Stokey. Check it out but be prepared to queue. Real ale at the Grade II-listed Rose & Crown pub, with its dark wood interior and reassuringly creaky chairs. Ask for a board game! A single malt whisky you’ve never heard of from the confusingly named bar-pub Stoke Newington Tea House. Keep an eye out for its live jazz nights too. A silky Climpson flat white from The Kauri Tree Café, which is perfect for watching the buggies go by. Craft beers at Ryan’s N16, a neighbourhood bar with a tiny music venue hidden downstairs. Catch up-and-coming live acts (and excellent parties) at The Waiting Room. It’s conveniently located beneath The Three Crowns pub for that pre-gig pint. Challenge the ping-pong pros or break something at the skate bowls in Clissold Park. Posh bread, buns and pastries, baked every day on the premises at The Spence Bakery. Flowers for your SO at Evergreen & Outrageous (or just pop in and enjoy the leafy smell). A massive piece of fresh meat from Meat N16, the friendly butcher’s launched in 2011 by two locals. Your very own record store: Lucky Seven is currently up for sale. If you really can’t stretch to the whole shop, drop in and browse its three rooms of bargain vinyl and books. 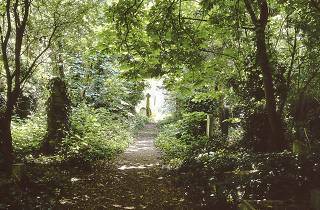 Stroll around the charmingly overgrown Abney Park, one of the Magnificent Seven garden cemeteries of London. It’s an arboreal version of your typical shaggy-haired Stoke Newington bearman. like Anna answered I'm amazed that a student able to make $6076 in four weeks on the internet . No tube, but we do have 2 mainline stations - Stoke Newington & Rectory Road - 13 minutes to Liverpool St.